This GP owned Medical Centre is one of the fastest growing in West Sydney with its patient base exceeding 50,000 and a friendly team. The surgery has a number of UK GPs at the practice (including the owner) who having already made the move can give you advice on making the transition and get you up to speed with Medicare and the Australian system quickly. Due to the large patient base, high patient flow and support on offer you will expect to be at full capacity quickly and this will be reflected in you earnings. Full time and part time positions are available as there is flexibility around GPs personal preference. There is a large treatment room with nurse support, onsite pathology, dietician, podiatrist, exercise physiologist, physiotherapist, male and female psychologist and a chemist opposite the medical centre. Sydney is a vibrant and cosmopolitan city, home to a mix of arts and culture, fantastic restaurants, exciting nightlife, some of the world's best beaches and a rich cultural heritage. It is a wonderful city and a destination that it is very hard not to fall in love with. Australia's oldest and largest city is set on one of the world's most stunning harbours, fringed by easy-to-reach, sandy beaches. The city has a sunny, moderate climate which contributes to Sydneysiders' relaxed lifestyle and love of the great outdoors. 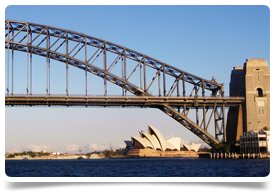 Sydney offers a secure environment for families, with excellent facilities, transport and telecommunications.